Yesterday we heard a number of specifications for the OnePlus 5 and now the handset has been listed on Oppomart with some more specifications. 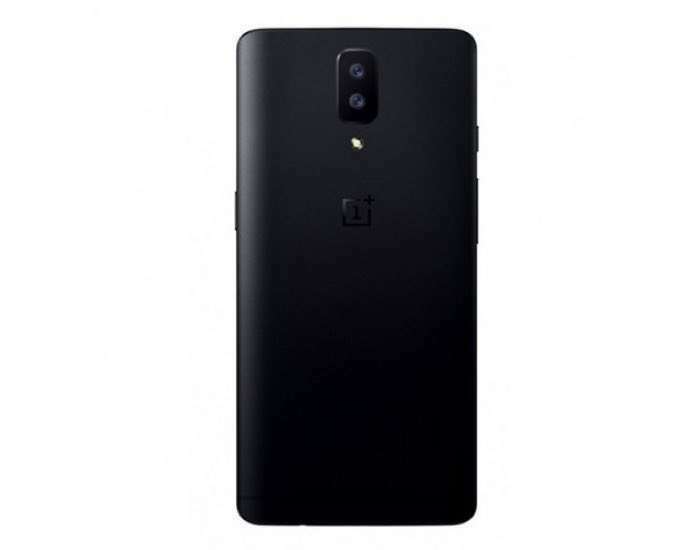 The listing on Oppomart has said that the OnePlus 5 will come with a 5.5 inch display with a Quad HD resolution of 2560 x 1440 pixels, previous rumors had suggested it would have a Full HD 1080p resolution. The handset is also listed with the Qualcomm Snapdragon 835 processor and 6GB of RAM and there will apparently be two storage options, 64GB and 128GB. The OnePlus 5 will apparently come with dual 12 megapixel cameras and an 8 megapixel front camera, plus a fingerprint sensor and it will feature Oxygen OS which is based on Android Nougat. It is not clear as yet on whether the specifications on Oppomart are correct as they are slightly different from what we heard previously. 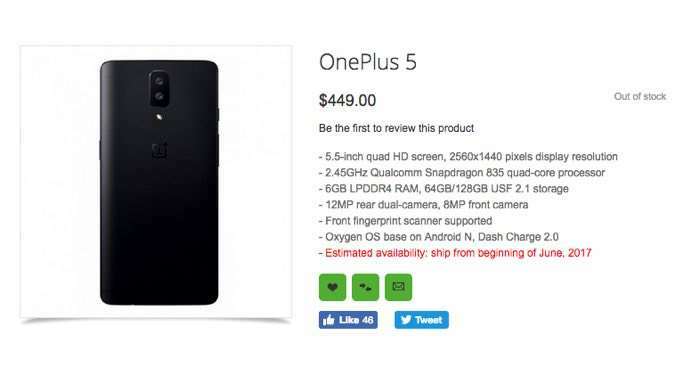 The OnePlus 5 is listed with a price of $449, this ties in with previous rumors that the handset would retail for under $500. As soon as we get some more information on exactly when the new OnePlus 5 will launch, we will let you guys know, the listing on Oppomart is showing a June launch date.